Featured in Collectors Weekly -- There’s an open secret in America: If you want to kill someone, do it with a car. As long as you’re sober, chances are you’ll never be charged with any crime, much less manslaughter. 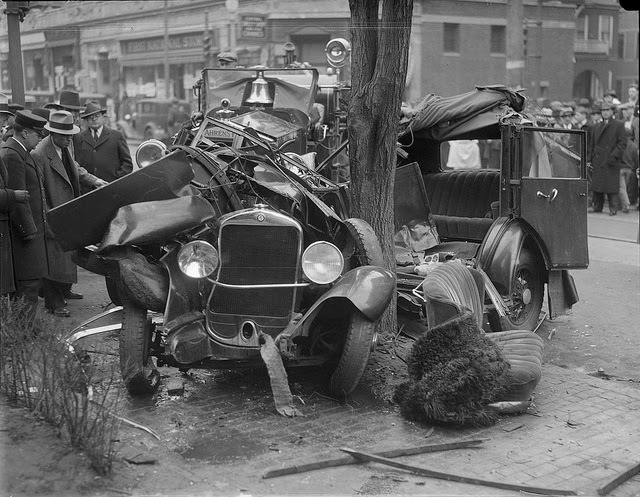 Over the past hundred years, as automobiles have been woven into the fabric of our daily lives, our legal system has undermined public safety, and we’ve been collectively trained to think of these deaths as unavoidable “accidents” or acts of God. Today, despite the efforts of major public-health agencies and grassroots safety campaigns, few are aware that car crashes are the number one cause of death for Americans under 35. But it wasn’t always this way.